Ok, so joking aside, this is some pretty creative design. The latest frame to join the space ninja ranks lets you create your own music that then gets played in-game when you use Octavia's abilities. The "Mandachord" allows you to build a song using percussion, bass, and melody tracks. Those tracks then provide the beats to Octavia's abilities, Mallet, Resonator, and Metronome. I can't speak to how well all that works out in the game itself, but the idea of it is really cool. 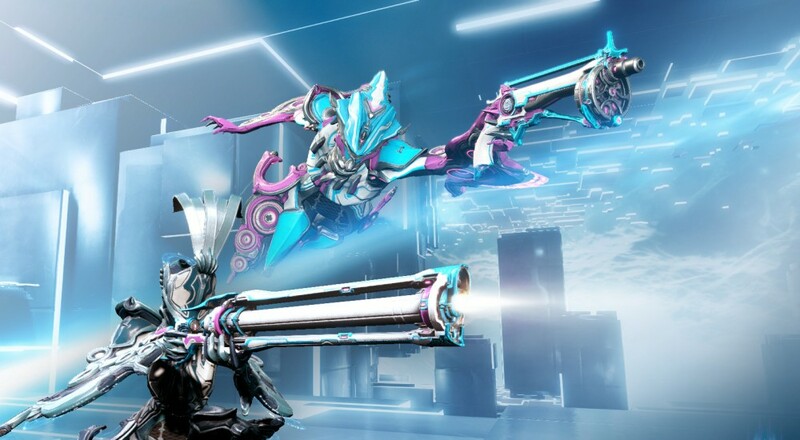 In addition to the new warframe/sound mechanic, the "Octavia's Anthem" also adds a new quest (the titular anthem), two new weapons, a new photo mode ("Captura") that lets you grab and lens flare your own screenshots, and a handful of new skins.